KEEPCOOL es un filtro natural con gran capacidad de absorción del etileno, consiguiendo retardar el proceso de maduración y conservando durante más tiempo sus propiedades organolépticas (sabor, textura, olor y color) de frutas, verduras y flores. Nuestro sistema patentado está compuesto por el filtro KEEPCOOL y las máquinas M-CAM. Con esta tecnología se consigue la esterilización de un 99% de bacterias, virus y gérmenes, preservando las frutas y verduras. 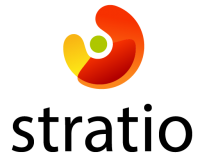 Our products and services focus on introducing new and better proposals to the market that will help businesses design strategies that improve inside management, from production chain, sales or even product commercialisation and online timarketing. We implant advanced technologies in Virtual and Augmented Reality in intelligent products and surroundings over key areas that need management solutions, design, cutting costs, location, formation and online sales. Our main product is JAM, an IoT solution, that is connected to the mandatory vehicle diagnostics interface and collects data in real-time from all vehicle sensors, using Artifical Intelligence to detect risks before malfunctions and breakdowns occur. It is an agnostic plug-and-play device working even in older vehicles (retrofitting). JAM reduces fleets’ operational costs since it reduces maintenance costs; increases vehicle lifetime; reduces vehicle off-road time; and improves fuel efficiency. ByMEAL creates an online bridge of fast interaction between hosts and customers, in an efficient and easy-to-use format. The host prepares a meal and provides a space. 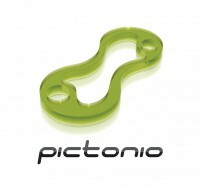 The customer chooses, evaluates (menu, price, space, rating, reviews) and pays online. ByMEAL wants to provide the immediate service that people currently request. Moreover, our proposal aims for a global service for anyone who goes for the meal motivated by the experience (the high gastronomy), but also the fast meal. 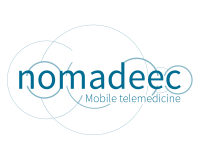 Designed by Exelus SAS, Nomadeec® is a unique solution of mobile telemedicine dedicated to all emergency care and first-aid professionals. It is a global solution for first-aid communications and Emergency data transmission in real time. Nomadeec® reduces the number of useless hospitalizations, accelerates the time-decision of the remote physicians, improves the urgent triage of the patients and the efficiency of their medical orientation. 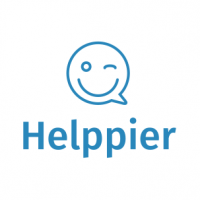 Helppier is an online support tool that enables companies to create interactive step-by-step tutorials and tooltips. Helppier is all about going beyond the traditional online customer service. By creating sequential instructions to interactively guide users on websites, users don’t need to go back and forth between videos and user manuals. We supply an intelligent tool that recognizes and meets users’ needs, improving the relationship and shortening the gap between companies and the customers. We have the ambition to make the buildings and its management more intelligent. That is why we have created SEJI, MILAE & UTSY. SEJI, MILAE & UTSY are an online real estate management system with integrated decision-making reporting. It allows to identify, to pilot, to analyze and to anticipate your decision concerning buildings.